We offer world class surfcamps in an authentic and affordable holiday destination within easy reach from mainland Europe. Warm water, sunshine, consistent waves and a great variety of surf spots all year round - is just part of what you can expect from your surf holiday with us. The successful Quiksilver Surf School Fuerteventura was created in 1994 (as Natural Surf and then Matador Surf school) by Joachim Hirsch, German Longboard champion 1999 and former member of the German national surf team. Since the beginning our philosophy is to provide our customers with professional and individual surf coaching to an international standard combined with a wide choice of surf-style accommodation. View all our surfcamps here..
At Quiksilver Surf School Fuerteventura you will receive instruction from of a team of highly motivated & qualified multi-lingual surf coaches. Our coaches aim to provide you with a fun & safe learning experience, where you can progress your surfing and leave satisfied with a noticeable improvement of your surfing. We treat our students as individuals, teaching all age ranges and requirements from children through to mature adults, and coaching all levels from absolute beginners through to more experienced surfers. Quiksilver Surfschool Fuerteventura has introduced thousands of people to the amazing sport of surfing, and we take great pride and satisfaction from how many of our students return each year. Read some of their feedback here.. We focus on providing courses that will progress your ability and skill. Our coaching methods include: ocean & surfing safety, on the beach technique practice, in water coaching and feedback, video analysis of your surfing, surfing/ocean theory lessons, as well as providing the best surfing equipment for your level. We have a fleet of 4x4 off-road vehicles to drive you to the best conditions on the day. We are one of the largest schools on the island and have run corporate surf events for groups of 50+ people. Read more here.. Our school is located in the sunny surf destination of Corralejo, in the north of Fuerteventura - The Canary Islands. Fuerteventura has good surf conditions all year round so you can learn to surf with us everyday at any time of the year. The North of Fuerteventura has a great choice of surf spots for all levels, with 3 coasts to choose from (East, West and North) all a short driving distance from Corralejo. Learn to surf on endless sandy beaches or push your ability on advanced reef breaks, Fuerteventura has it all! At Quiksilver Surfschool Fuerteventura we run and manage a range of comfortable surfcamps, villas & apartments to suit all accommodation requirements, so both the young and young at heart can get a good nights sleep. 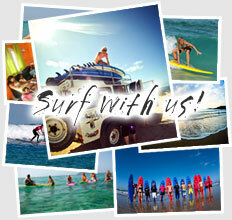 • Surfcamp Corralejo is our quality surfcamp in the heart of Corralejo, Fuerteventura. Surfcamp Corralejo offers private and shared rooms, ideal for individuals and groups, with the beach, bars and shops all within walking distance. Find out more here..
• Villa Antonio is our country retreat suited for individuals, couples, groups and families of all ages wanting a peaceful place to relax after a day in the ocean. Villa Antonio is located in the delightful town of Villa Verde, 15 minutes drive from Corralejo, with some of the best Spanish restaurants in the region. At Villa Antonio you start the day with a continental breakfast & lunch pack for your days surfing at some of Fuerteventura’s most beautiful beaches. Read more here..